Issa Rae will host this year’s CFDA Awards, making her the first woman to host since Tracey Ullman in 2009. She’ll be succeeding Seth Meyers, who hosted in 2017 and 2012. 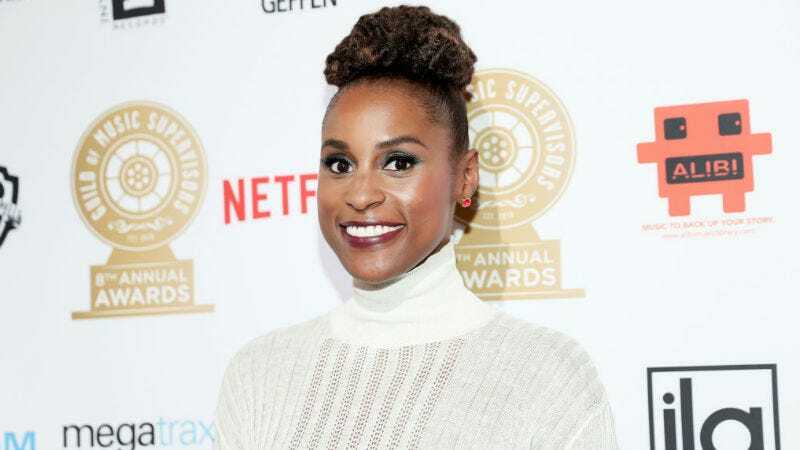 “Issa Rae is leading a new generation of performers who use their voice and humor to discuss social topics in a way that is relatable and poignant,” said Steven Kolb, CFDA’s president and CEO, in a statement. Kolb is right: There was nothing more relatable than when Issa told a reporter on the Emmy Awards red carpet that she was “rooting for everybody black.” I mean, same. Known as the Oscars of the fashion world, the CFDA Awards celebrates the best in fashion with categories such as Best Womenswear Designer of the Year and Best Accessories Designer of the Year. Last year, designer Raf Simons walked away with two of the most coveted prizes of the night: Best in womenswear and menswear, a first in the award’s history. The ceremony will take place on June 4 at the Brooklyn Museum.